As the number of Malaysian drivers continue to increase every year, it is vital that every road user equip themselves with sound knowledge and skills on road safety to create a safer driving ecosystem for everyone. 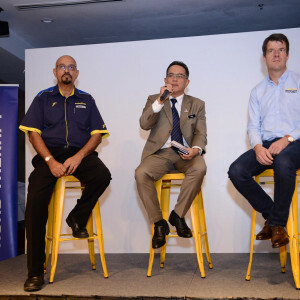 Echoing this sentiment, Goodyear Malaysia recently partnered up with Road Safety Department of Malaysia (JKJR) to organise a road safety workshop for Malaysian drivers. The workshop was aimed at educating road users on the many potential risks that may occur while driving and how to handle those unwanted road hazard situations with ease for an enjoyable drive. “This joint initiative together with JKJR is part of our continuous efforts to create a platform in increasing awareness on road safety. It is our commitment to offer quality products and services to ensure drivers are more prepared and equipped when they are on the road to face different weather or road conditions. 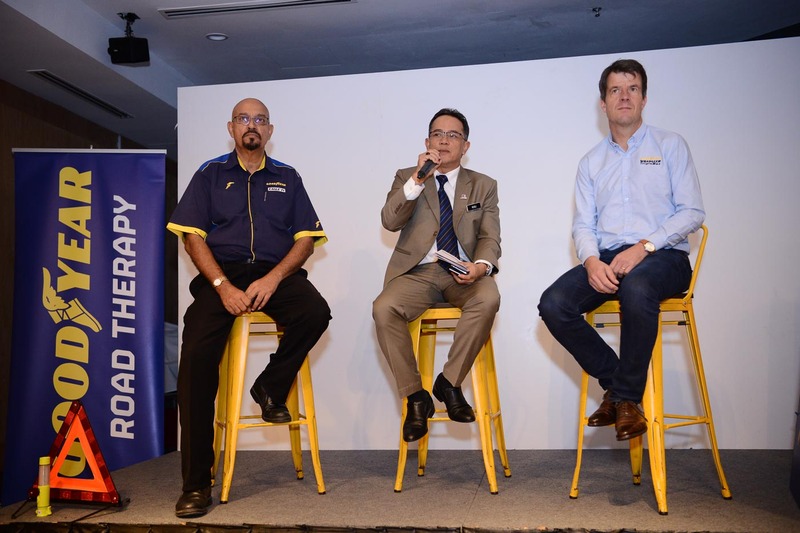 A program such as the Worry Free Assurance that we introduce together with this workshop is designed for drivers to have a better, safer, and quality driving experience,” said Ben Hoge, Managing Director of Goodyear Malaysia. The Goodyear-JKJR workshop includes tips on how to handle challenges when facing with unforeseen road hazard situations, as well as on how to ensure user vehicle and tires are in optimal condition such as proper vehicle and tire maintenance. As tires are the only point of contact between vehicles and the road, it plays a very important role when it comes to road safety. The workshop elaborates on areas a driver should consider when choosing their tires which are not only vital for road safety, but can also lead to better fuel efficiency and longer tire lifespan. Road hazards are among the major issues for many Malaysian road users. Poorly maintained road conditions such as potholes, sands, rocks, and wet roads can occasionally lead to a range of vehicle damages such as tire punctures, scratches, dented rims, uneven tire balancing, as well as major accidents. These road hazards do not only affect one’s driving experience – they are also a major risk to road safety for all Malaysians. While there are multiple factors that contribute to road accidents such as human factor, one of the most common factors can be boiled down to something as simple as road and vehicle conditions. According to the Road Safety Plan of Malaysia 2014 – 20201, in 2013, road defects and tire defects are some of the factors that contributed as cause of accidents. 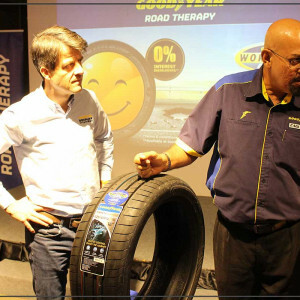 Furthermore, in line with Goodyear Malaysia’s effort to provide quality products and services to give consumers greater peace-of-mind while driving, the company has also introduced the Worry Free Assurance program which covers irreparable damages caused by road hazards. 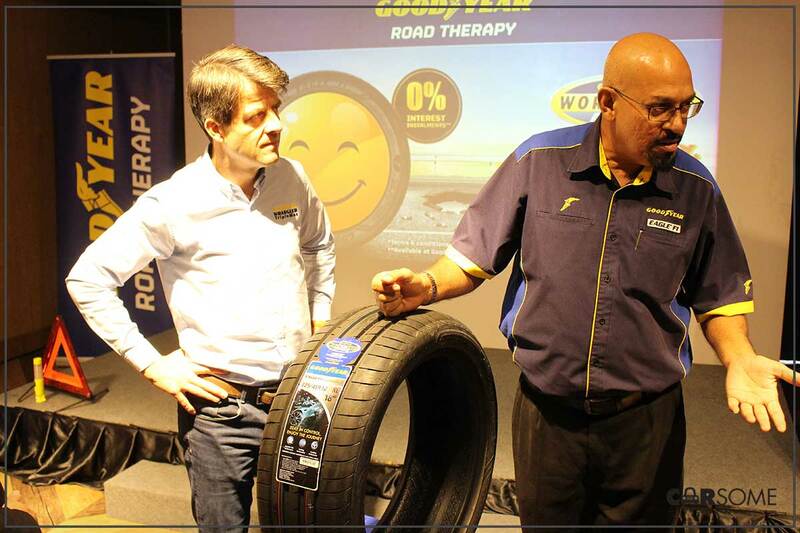 This program is available across a wide range of products and consumers can enjoy the benefit of road hazard assurance for 6 months with eligible claims of one-to-one tire replacement can be done at any authorised Goodyear Autocare or Servitekar. On top of that, consumers are also given a worry-free payment option, which is a 0% interest free instalment plan for tires that are under the Worry Free Assurance Program.